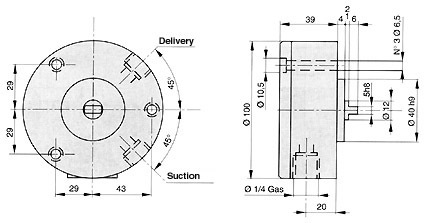 For suction lines higher than 10cm mounting a check valve is recommended. 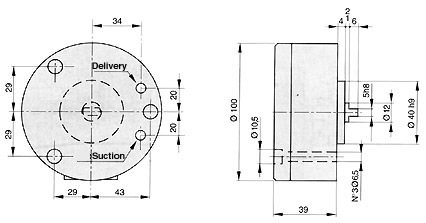 In these pumps suction and delivery ports are defined and cannot be changed. 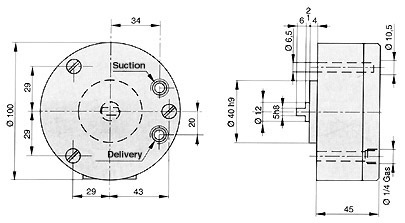 The shaft can rotate in both directions.